April | 2015 | Daniel Katz, Ph.D.
Was Arne Duncan Ever a Child? …the tests are “just not a traumatic event” for his children, who attend public school in Virginia. Peter Greene of the Curmudgucation blog took on the broader set of Secretary Duncan’s comments earlier this week, and coined the term “Duncanswer” whereby the Secretary gives a response to a question that is entirely canned and skillfully uses ideas from the question itself to cover that he has no real understanding of the issue. I’d like to offer an additional feature of a “Duncanswer”: utter refusal to accept responsibility for any negative outcome of your choices. The Secretary of Education essentially told the parents of nearly 200,000 students in New York state alone that if any children are traumatized by the Common Core aligned testing it is their own damn fault. His statement indicates that he views annual testing, particularly THIS annual testing, as simply an aspect of childhood, perhaps inconvenient, but not really a big deal. But the important thing to remember is that if children leave the testing crying or sick to their stomachs, then it is their parents’ and teachers’ fault for being so dramatic. Perhaps a review of recent history is necessary. While Bill Gates may have been central to funding the development of the Common Core State Standards, we simply would not see them in classrooms across the country with standardized testing rolled out already and teachers’ evaluations connected to those tests without Secretary of Education Arne Duncan and his signature initiatives. In the midst of the financial crisis, the federal DOE enticed states with promises of funding via the Race to the Top grant competition. Even states who did not get grants were encouraged to adopt signature reforms with the offer of waivers from the most punitive provisions of NCLB. States seeking grants or waivers agreed to adopt common standards to prepare students for “college and careers” and to use accountability systems based on “student growth.” It was, of course, just a coincidence that “college and career readiness” is the catchphrase of the Common Core State Standards which were less than a year old in 2011, but which had already been adopted, often sight unseen, by dozens of states climbing over each other for grants or waivers. Since states would soon need new standardized tests aligned to the CCSS standards for use in teacher evaluations, it must have been a coincidence that Secretary Duncan had already awarded over $300 million to the Partnership for Assessment of Readiness for College and Careers (PARCC) and Smarter Balanced Assessment Consortium (SBAC) in 2010 to develop shared assessments for the standards that had been completed in June of that year. So from an idea among some ambitious people with no actual experience in teaching and no expertise in child development and learning in 2008 to the development of completed and copyrighted K-12 standards in both English and mathematics in 2010 to adoption by dozens of states before the standards were finished to full scale roll out of aligned examinations with connection to teacher assessments in 2015, the entire system that we have today is fully the responsibility of Secretary Duncan and the Obama administration. Others may have provided monetary support, may have glad handed various stake holders, and may have taken on the development process themselves, but none of that work would be guiding education in 43 states and the District of Columbia without Arne Duncan’s efforts. And let’s be perfectly clear: nothing in education does or should move this quickly. As Diane Ravitch of New York University notes, following “due process” guidelines for the development of standards of this scale and nature is important to ensure they are developed thoughtfully and that they are developed in a manner that is responsive to the numerous stakeholders in the policy. In the time spent writing the standards, a more legitimate process would have possibly begun to compile the research base on content and learning necessary to begin the drafting process, but the backers of the standards, including Secretary Duncan, had a priority to move quickly before input could bog down the process. If Secretary Duncan is irritated that so many people are now opposing the standards and the accompanying testing, he might want to learn that, in general, people do not like turning around and finding out that the entire basis upon which they thought their children’s education rests has been changed without public discussion. And if the dissatisfaction is growing, it is because although parents did not know about the Common Core standards (as 55% did not in a 2013 survey), they have little chance to avoid learning about the examinations now. While many parents are not well informed about them, that will certainly change over time as PARCC and SBAC exams continue in subsequent years. Parental discontent in New York has grown since the Pearson designed Common Core exams debuted here in 2013, and parents’ reasons are not baseless or simple whims. Multiple sources document known reading passages in the New York exams that are substantially above grade level and requiring students to answers questions on a standardized exam that objectively have multiple correct answers. Elementary school students are sitting for examinations that take longer overall to complete than the bar exam. With high stakes testing already having narrowed school curricula nationwide, parents would be correct to worry that teachers, faced with evaluations based on statistically invalid measures of their effectiveness from those tests, will face more pressure to devote time to test preparation. Secretary Duncan, is it ” just part of most kids’ education” for kids to sit in tests that are longer than the bar exam, with reading passages years above their grade in complexity and interest level, ever single year? Or is it the result of a set of choices that you helped set in motion? One has to wonder what Secretary Duncan recalls about being a child if he thinks this system is “just part of most kids’ education” and not a rather extraordinary set of circumstances that is reaping some very sour fruit. These exams are not magic. By most reports they are not even all that good. And they are far more disruptive than a basic accountability system needs to be. But, boy howdy, the Secretary of Education is making them high stakes. Just consider what Secretary Duncan did to Washington State when they had the nerve to allow districts to choose between state and local assessment in evaluating teachers. But what can we make of the Secretary’s threat that the federal government may have to “step in” if parents opting children out of exams continues to grow? Parental refusal to allow a child to take the exam is not a state policy violating an agreement between the USDOE and the state government. States are not orchestrating opt outs, and in many cases, parents are given dubious information about the legality of their choice. Can Secretary Duncan threaten states where opt out numbers mean many schools are not reaching the 95% testing threshold? Dr. Christopher Tienken of Seton Hall University and Dr. Julia Sass Rubin of Rutgers University say the matter is hardly cut and dry. First, the federal mandate for 95% testing exists so that schools cannot deliberately hide subgroups of students from accountability. There is nothing in the law or in the intent of the law that prevents parents from refusing a child’s participation, and it is not the schools that are organizing test refusal. Further, they note that the waiver agreement between states and the USDOE can override that testing requirement; in New Jersey, for example, only 250 schools are actually held to the 95% testing requirement and if they do not make it, up to 30% of their Title I money can be used by the state for specific interventions. That doesn’t take money away, however; it allows the NJDOE control over money that it technically has control over anyway. Drs. Tienken and Sass Rubin additionally note that if the USDOE has to sanction districts and schools for missing the 95% testing target they have missed the boat already. In New Jersey alone, 175 schools missed the 95% target in 2014 without penalty, and, in fact, no school has ever been treated punitively by the USDOE for not having 95% of its students tested. Can Secretary Duncan suddenly drop his agency on states and districts not for any actions taken by those governments but because their parents have gotten unruly? How does he propose those communities seek compliance when his entrance into the matter can only make more people angry at the direction of educational policy? For that matter, does he think he can long maintain his ability to coerce the states if the re-authorization of the Elementary and Secondary Education Act makes it out of Congress in its current form? However this plays out, we can likely guarantee one thing: Arne Duncan will accept responsibility for absolutely none of it. Maybe he just never stopped being a child. New York Times education reporters Kate Taylor and Motoko Rich published a story this week on the burgeoning Opt Out Movement. As the oldest paper of record in the United States, the Times has been slow to report on what has been a largely local story that has now evolved into a statewide and even national phenomenon. While this is understandable given its role in the national discourse, what is not understandable is the way the story was framed into something unrecognizable to most participants in Opt Out. The article briefly mentioned parent led groups working with teacher unions, but a reader with no prior experience on the matter would easily leave the article entirely convinced that Opt Out is both union promoted and union generated. Secky Fascione, director of organizing for the National Education Association, the largest nationwide teachers’ union, said reining in testing was the union’s top organizing priority. In the past month, Ms. Fascione said, chapters in 27 states have organized against testing, including holding rallies; petition drives; showings of “Standardized,” a documentary critical of testing; and sessions telling parents they have a right to keep their children from taking tests, as tens of thousands of parents around the country have done. Ms. Taylor and Ms. Rich would be right to note that union leaders like Randi Weingarten of the American Federation of Teachers and Karen Magee of the New York State United Teachers have recently given vocal support to Opt Out. It is also true that other union affiliates have taken action in the past several months to support parents who choose to opt their children out of taking the PARCC or Smarter Balance testing that are rolling out nationwide this year. Further, it is true that many of the unions find themselves in deep conflict with state capitols and with the Federal DOE where policies using those tests for teacher evaluations have originated. But it is singularly misleading to frame this conflict as one that originates with the unions. When United Opt Out National began over four years ago we were simply a facebook page with a file for each state. Within hours our FB group page was flooded with opt out requests and now we have opt out leaders all over the country and grassroots opt out groups popping up everywhere. I think Florida has 25 at this point – probably more since I last checked – and mind you they did this all on their own. UOO has simply been a catalyst and a support. What is even more fascinating, and sad, is that UOO has reached out to the unions many times, and never received a response. You will notice that United Opt Out National is rarely mentioned in recent articles. I think that’s because we represent the people. The power of the people. @Prof_Katz @motokorich considering Rich interviewed me and others last year, she was more than aware this is parent driven. Sad spin indeed. If the Opt Out story is only now growing of interest to the national education reporters of The New York Times because now national and state level unions, having seen where a significant portion of parental sentiment is heading, have begun to help amplify the message, that is fair, although perhaps short sighted depending upon your perspective. However, to leave readers with the impression that a movement which has been growing for four years and which has resulted, this Spring, in over 175,000 test refusals in New York State alone, is working at the behest of the national teachers’ unions is not only disrespectful of parental leadership, but also it is disrespectful of facts. While their voice and influence is welcome, union leadership followed the parents on this issue. President Weingarten’s and President Magee’s support has been welcomed this Spring, but as Ms. Robertson pointed out, unions have been asked to assist before with much more tepid responses. While disappointing, that is also not expected. Union leaders generally have to preserve an ability to speak with policy makers, so a degree of caution in promoting a movement that aims to pull the rug out from under test based accountability and spark a confrontation with those implementing that policy is expected. What has changed is that in New York, Governor Cuomo decided his reelection “mandated” was to charge like a mad bull through teaching as a profession, and nationwide, the Common Core aligned PARCC and Smarter Balance examinations are debuting — to not exactly glowing reviews. Nationwide, increasing numbers of parents are tiring of annual standardized testing becoming a goal in and of itself instead of taking a proper role in monitoring the education system. No amount of condescending horse pucky from educational “leaders” will change that. So the real story in Opt Out is that unions are coming around to support a parent led and developed movement. While Ms. Taylor and Ms. Rich do acknowledge that some union leadership is not really on board, they missed the serious split within New York’s UFT — New Action Caucus may have put up a motion to support Opt Out, but that motion repeats an earlier attempt by the Movement of Rank and File Educators (MORE) Caucus to pass a similar resolution in March. Here’s Lauren Cohen of P.S. 321 raising the resolution. This is an ongoing and contentious debate within the UFT not presented in the article. @Prof_Katz @motokorich It's all about perpetuating the "Unions vs. Reformers" narrative. The real story of how we got to April of 2015 with hundreds of thousands of opt outs in New York and many thousands more across the country is a messy one. It involved parental volunteers, activists from a wide variety of political affiliations, a growing body of research on the damage of test-based accountability and the unreliability of using tests to evaluate teachers, and, yes, growing union grievances. It is a story that would have to include the reluctance of union leadership to be seen in front of the issue to the frustration of both parents and rank and file members. It would be about the slow convergence of many forces at work in our education system, including the shadowy world of deep pocketed oligarchs who leverage astonishing sums of money into even more astonishing influence regardless of the people’s will. But that isn’t neatly dualistic. That isn’t the story certain influential people want to read. So we get this. Dear Opt Out: Won’t Somebody PLEASE Think of the Property Values?? For those who are not in the know, DFER is an organization that is not actually made up of grassroots Democrats working for education reform so much as it is a front group for very large, mainly conservative, donors to influence Democratic politicians to support what passes for education “reform” these days. While DFER has certainly influenced a number of Democratic politicians by funneling campaign contributions made possible by DFER’s funding sources (The Walton Family Foundation, Rupert Murdoch, Rex Sinquefield, etc), it’s stated purpose is to change the positions of Democrats on questions like charter schools and tying teacher evaluations to test scores to those more likely found in the Republican Party. So DFER is not REALLY “Democrats for Education Reform” so much as it is “Billionaires For Education Reform Bribing Democrats to Wreck Public Education,” but BFERBDWPE is hard to make look snappy on a flyer. That is, however, exactly how NY Governor Andrew Cuomo got to be the poster child for destroying public schools from the Democratic Party side of things. But at least we have a great new reason that all students need to take those tests– without them, the Betters would have one less badge of their Betterness. 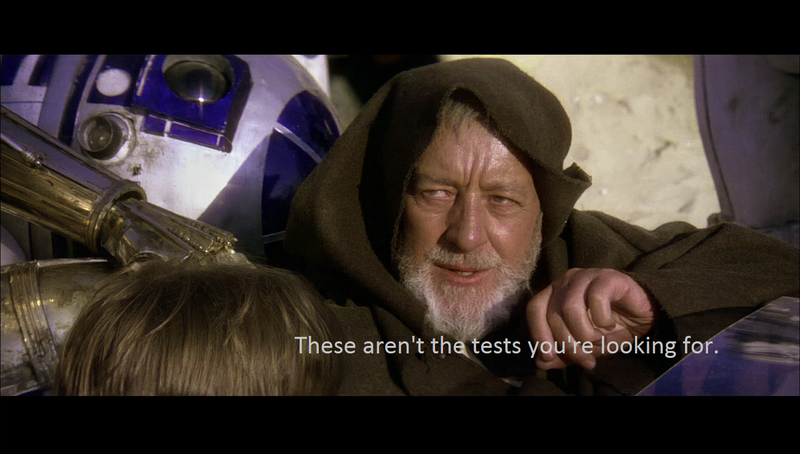 Testing will help us put Those People in their place. Don’t let your class down! Don’t let the property values drop! Get in there and take a test for the team. Yup — the NY State Director for the hedge funded political bribery outfit PAC most devoted to high stakes testing essentially told parents in the suburbs to have their children lie back, close their eyes, and think of Scarsdale. Especially their property values. While that “reasoning,” and I use the term loosely, is bizarre enough, I’d like to take it just a little bit further. Ms. Brisbane is, of course, correct that the value of property in a community has links to the perceived quality of the schools in that community. Towns with school systems that have reputations for excellence and with high percentages of students moving on to desirable colleges do see increases in assessed property values. Of course, this phenomenon predates not only the Common Aligned state examinations, it predates the entire period of test based accountability introduced with No Child Left Behind. One has to wonder how the parents of Scarsdale could have ever known anything about their community’s schools before they got the state issued two page report that includes no item analysis whatsoever? It is interesting that Ms. Brisbane chose Scarsdale as her example, given its long standing reputation as one of the wealthiest communities in the country. However, you do not have to take my word for that. The United States Census Bureau curates census data by community, so we can look directly at some key indicators for Scarsdale. The Village of Scarsdale is 82.7% white compared with NY state which is 65.7% white, and it is 13% Asian with African American and Hispanic populations of 1.5% and 3.9% respectively. Scarsdale’s population of people speaking a language other than English at home is actually closer to the state average than it’s racial make up with 21.5% of the population. A staggering 85.7% of the population over 25 has at least a bachelors degree compared with a state average of 33.2%. Per capita income is $109,044 and household income is $233,311 compared to the state averages of $32,382 and $58,003 respectively. In NY state, the median value of a home is $288,200, and while the table does not have a specific median value in Scarsdale, the footnote says that it is over $1 million. Scarsdale’s population living below the poverty level is 1.7% compared to a state average of 15.3%. A family considering sending its children to Scarsdale schools will likely know something about the village’s school system just because they can afford to live there in the first place. I should also be clear: I do not believe that someone living in Scarsdale is living there so that he does not have to live with people who are poor or minority. However, the fact that he can afford to live there means that he does not live with very many people who are poor or minority by default. Ms. Brisbane, however, wanted to know how parents in Scarsdale will COMPARE themselves to other communities, even in Westchester county. Fair enough. Westchester has had historic problems with integrating lower income and minority families within the county, so let’s look at the nearby city of Mt. Vernon next. Mt. Vernon is 63.4% African American and 14.3% Hispanic. 23.1% of people over the age of 5 speak a language other than English at home, and the percentage of people over 25 years of age with a bachelor’s degree is below the state average at 26.4%. Per capita income is $27,454 and household income is $49,328. While the median home price is $392,300, only 37.7% of the population are home owners. 16% of the population lives below the poverty line. Demographic information from the New York State Education Department shows some stark contrasts that match or actually amplify the census data. Scarsdale High School is 89% white or Asian while only 1% of the school is of Limited English Proficiency and there are so few economically disadvantaged students that the data is suppressed to prevent them (him? her?) from being personally identified. Mt. Vernon High School is 79% African American and 17% Hispanic, higher than the averages for the city overall. While only 4% of the school is LEP, 65% of the students in the school are economically disadvantaged, meaning their family qualifies for public assistance programs such as free and reduced price lunch. A family of four qualifies for reduced price lunch at 185% of the federal poverty level or $44,863. The same NYSED web site reports school data on student graduation rates and on the Regents exam. (Yes, Ms. Brisbane, I am relying on a test-based comparison, using a long established EXIT examination used in the state of New York that predates the additional annual testing required by NCLB. I will admit that your hypothetical home owner or potential buyer would have some interest in how certain school performance markers compare in different communities — I am also pointing out that these markers already exist). In Scarsdale, graduation rates are essentially 100%, and the percentage of students who earned 75 or higher on the English Regents exam and scored 80 or higher on a math Regents examination was 81% in 2014; the state average was 38%. In Mt. Vernon, the 2014 graduation rate was 47%, down from 54% the prior year. In 2014, only 3% of the graduating cohort reached the English and math scores of 75 and 80 or higher, down from 8% the prior year. Interestingly, Scarsdale’s very small African American and Hispanic populations do not score as high as their white and Asian classmates on the Regents examination with only 60% of African American and 65% of Hispanic students reaching the “aspirational” levels. It is worth noting that I began by looking at the race and income characteristics of these communities, but since the negative impacts of poverty on educational outcomes is well known, the fact that Mt. Vernon has a school population that is much poorer than Scarsdale’s means the diminished graduation outcomes are not unexpected. In fact, it mirrors a national phenomenon that finds when there are greater concentrations of students in poverty, testable outcomes are much lower than in communities with few students in poverty. This is where education reform advocates like to accuse their critics of fatalism and saying that there is “nothing we can do” to get better educational outcomes for children in impoverished communities. I will agree with the premise that geographic location and income level should not be seen as determinative, and the comparison between Scarsdale and Mt. Vernon should not be taken to mean the graduation rates and diminished achievement data in Mt. Vernon should be acceptable. However, the point of this blog is to demonstrate that there is quite a lot of data available with which one can compare Scarsdale and another community in Westchester County, and that such data has been available for many years before the Common Core aligned examinations came along. There is, in fact, very little that these tests will tell us in community by community comparison that we do not already know. There is something that we do know, however, and it is something that Governor Cuomo continues to do far too little to address. Namely, the Mt. Vernon school district was shorted almost $2300 per student in state foundational school aid in the 2014-2015 school year. So while it is all nice and well that Ms. Brisbane and her bosses at BFERBDWPE want to be able to tell a tale of communities whose homes are made more valuable by student test scores, there is another tale they fail to acknowledge: that of schools populated with students in poverty whose budgets have been repeatedly starved. Meanwhile, Ms. Brisbane’s Scarsdale parents can take comfort in the knowledge that six residents in the Class of 2013 alone got into Harvard University. They could have found that out without the Common Core tests too. What if We Really Cared About Teacher Preparation? Efforts to reform teacher education in recent years have focused on demands for higher quality candidates and indicators of rigorous preparation without careful consideration of the total policy environment in which such preparation must take place. In the era of test based accountability, efforts to recruit, prepare and induct qualified and passionate new teachers are severely hampered by contradictory and high stakes priorities enacted by state level policy makers. In this article, I locate the different policy pressures that make thoughtful and effective teacher preparation less likely and explain what teacher preparation would look like if we took a systemic and developmental approach to teacher education that recognized how teachers learn. Policy makers need to understand the interconnected nature of their decisions and offer policies aimed at support and growth of teachers at all experience levels and at development of capacity in universities, schools, school districts, and state offices. It is, of course, easy to criticize the reform plans for teacher education that are in various stages of implementation in New Jersey. Most proposed changes exist either as evidence-free assertions that “more is better” or as potentially defensible proposals whose consequences remain unexamined. Perhaps most importantly, they exist in tandem with other policies in both teacher preparation and education in general that seem to contradict their central premises of attracting only the best students to teacher preparation and holding them to rigorous professional standards. Demonstrating those contradictions is an exercise that lends itself to sarcastic wit and to taking potshots at those in authority, a two for one deal that is difficult to resist. More daunting, however, is putting forth a positive vision of what teacher preparation ought to look like if we accept the premise that all involved would favor seeing passionate and able young teachers take to our classrooms after being strongly prepared to meet the challenges of teaching. One does not have to seek out the poorly supported declarations of agenda-driven, self-appointed “teacher quality” watchdogs to find negative assessments of teacher preparation; they are deeply embedded in the popular culture which frequently asserts that teachers are “born” rather than made. These assertions are expertly addressed here by David Berliner, past president of the American Educational Research Association. However, it is important to note that a belief in teaching as a craft whose knowledge cannot be learned outside of experience is common among teachers themselves and strongly related to teacher education’s continued struggles to provide meaningful contexts for practice prior to teaching (and the reality that no controlled practice environment is fully sufficient to represent full time teaching under any circumstances). Those of us who labor in good conscience for the preparation of tomorrow’s teachers need to articulate visions of that preparation focused upon the needs of teachers and their students. My goal here is to detail concerns and priorities that should exist at three different stages of teachers’ professional preparation: recruitment, preparation, and induction. Becoming a teacher is unlike training to join most other professions in no small part due to our apparent familiarity with teaching and teachers. Dan Lortie, in his landmark 1975 work, Schoolteacher: A Sociological Study, observed that a typical student spends 13,000 hours observing teachers teaching during the course of a K-12 education. That is a remarkable level of familiarity that does not exist for professions like law, psychology, medical doctors, or nurses, and, as Lortie notes, it takes place in fairly close quarters and frequently develops interpersonal relationships as well. A strong theme among people seeking to become teachers is a desire for continuity in the experience of school; having enjoyed school themselves and having developed meaningful relationships with teachers during the long “Apprenticeship of Observation,” many teachers enter the profession desiring not to begin anew, but rather to continue. While the apprenticeship is lengthy, it can also be deceptive because, as Lortie notes, the student’s vantage point is substantially different from the teacher’s, and it does not lend itself to viewing teaching via pedagogy and the goal-setting orientation that drives teachers’ decision making. Regardless of the limitations of student perspectives, they do matter for future teachers, many of whom seek a teaching career based upon those perceptions and the personal value derived from them. If future teachers develop deep seated beliefs about teachers and teaching during their prolonged experience in school, we should want that experience to convey a powerful vision of meaningful learning upon them. Our current policy environment of “test and punish” which was instituted under the No Child Left Behind act and placed into overdrive with Race to the Top has resulted in a more narrow curriculum focused upon tested subjects and a deep decline in teacher satisfaction with their jobs. Between 2008 and 20012, teachers who are “very satisfied” on the job declined from 62 percent to 39 percent, a 25 year low, and the percentage of teachers who report that they are “under great stress” several days each week rose to 51%. A curtailed curriculum and dissatisfied teachers who cite lack of time for professional development and collaboration with their colleagues are not ingredients for P-12 schools that will nurture the next generation of teachers. In fact, recent evidence from the United States Department of Education shows enrollment in teacher preparation programs, including alternate route programs, dropping 10% overall nationwide with several state, such as California where applicants for teacher preparation shrunk by 53%, showing steep declines. We would do well to remember this concept for several critical reasons. If we want young people or career switchers to become teachers, we have to accept the variety of reasons why people make the decision to teach. Lortie’s observation that many teachers seek continuity with an experience they themselves found desirable reminds us to enable working conditions that foster teacher satisfaction, student learning, and a positive disposition towards teaching among future teachers. Excessive test preparation, teachers without time to collaborate positively with colleagues, and general stress among teachers and students act as disincentives for otherwise interested students to consider teaching and may distort vocational aspirations. It also should caution us about the type of person who becomes interested in teaching under such circumstances, as Lortie also noted that the desire to continue in school also contributed to teacher conservatism, the impulse to replicate existing practices. Hansen’s vocational framework deepens this dilemma because for a person to act upon a sense of vocation in a particular field there must be a field where the individual’s desire to serve and to contribute can be enacted. Jobs incentives such as pay and benefits matter, but they will be insufficient if a potential teacher sees a field dominated by distorting policy initiatives that focus work upon aspects that detract from the sense of motivating purpose. When accountability ceases to be a monitoring activity that reflects upon teacher effectiveness and becomes a goal in and of itself as it has in test-based accountability, we risk undermining the critical sense of self which motivates students to become teachers. In addition to attending to the school climate that shapes potential teachers and the sense of vocation they develop prior to teacher education, policy makers need to consider what they are looking for as requirements for prospective teachers. Many policies are aimed at driving up the academic qualifications of students seeking to become teachers, and a frequently cited “fact” about why this is important is because high performing Finland supposedly only accepts the “top 10%” of students to become teachers. While it is true that only 10% of applicants for spots in teacher training programs are accepted at Finnish universities, it is not exactly true that they are all the “top 10%”. In fact, according to Pasi Sahlberg, a Finnish educator and visiting professor at Harvard University, Finland’s teacher preparation programs seek applicants from across the academic spectrum in attendance at university, and they do this because “…successful education systems are more concerned about finding the right people to become career-long educators” and because the best students are not always the best teachers. It is actually likely that students who have at least some experience struggling in school will be far more receptive to the need to differentiate their teaching and will know from experience that students can need a variety of supports in order to succeed with challenging material. State policy makers and university based teacher preparation should look far beneath simple test scores to identify prospective teachers with genuine commitment and passion for teaching and learning. Situated between 13,000 hours of being a student in teachers’ classrooms and entering a profession of millions of fellow teachers are four, short, years for undergraduate teacher preparation. Consider Lortie’s warnings about teacher sentiments. If the long apprenticeship of observation leads prospective teachers to strong ideas about what teaching is, but those ideas cannot encompass all of the real work that makes teaching happen, and if the desire for continuity with previous school experiences leads teachers to conservatism by favoring smaller scale changes, if any, then a four year undergraduate teacher preparation experience is a necessary step to help prospective teachers enlarge not only their knowledge and teaching repertoire, but also to enlarge their vision of what teaching and learning actually are. It stands in stark contrast to alternative pathways into teaching that rely upon teachers training on the job and without space and time to fully embrace what their work means. The problem is that, confronted with structural and political pressures, many teachers (even effectual ones) cope by becoming merely efficient, by functioning compliantly—like Kafkaesque clerks. There are many who protect themselves by remaining basically uninvolved; there are many who are so bored, so lacking in expectancy, they no longer care. I doubt that many teachers deliberately choose to act as accomplices in a system they themselves understand to be inequitable; but feelings of powerlessness, coupled with indifference, may permit the so-called “hidden curriculum” to be communicated uncritically to students. Alienated teachers, out of touch with their own existential reality, may contribute to the distancing and even to the manipulating that presumably take place in many schools….Looking back, recapturing their stories, teachers can recover their own standpoints on the social world. Reminded of the importance of biographical situation and the ways in which it conditions perspective, they may be able to understand the provisional character of their knowing, of all knowing. They may come to see that, like other living beings, they could only discern profiles, aspects of the world. Greene’s argument points to a vital role for undergraduate teacher preparation in coaxing future teachers to understand themselves and others not merely for self reflection but also to understand that all knowledge is provisional and to value the perspectives their own students will bring with them, greatly expanding the possibilities of their own teaching. Andy Hargreaves argues that while Lortie and his successors have presented “conservatism” as a professional trait, it is actually best regarded as a “social and political ideology and power relationship,” so change “must first be needed, wanted and acknowledged” if any of the characteristics inhibiting change in teaching are to diminish. Like Greene’s analysis, this is intensely personal and not an endeavor likely to be completed without significant time and space to challenge deeply rooted assumptions about how teachers teach and how students learn, especially students whose lives do not reflect the experiences of our mostly white, mostly middle class, teaching corps. Gary Fenstermacher expands upon John Goodlad’s concept of teaching as practicing “stewardship” to include “a deep and thorough understanding of the nature and purpose of formal education in a free society.” Learning to teach, then, requires a genuine commitment on the part of programs and participants to explore dispositions that allow prospective teachers to see their work not only as a continuation of their own school experience, but also as a set of experiences with potential transformative power for both their students and society. Teacher education that does not lay that gauntlet at our students’ feet risks thoughtless replication instead of empowering improvement. Undergraduate preparation is also an important, and sheltered, environment in which future teachers develop professional knowledge and repertoires to use in the classroom. While popular sentiment, as mentioned previously, suggests that teachers only “know” what their students learn, that sentiment is uninformed by what it takes to transform content into something pedagogically powerful that lasts for students. I actually sympathize with teachers who groan when someone comes along with a new “best way” to teach that is typically a repackaging of long-known ideas into a new textbook and professional development workshop series. On the other hand, behind a lot of academic rhetoric are critically important concepts for teachers that can be effective frameworks for practice. Linda Darling-Hammond notes that significant research demonstrates routes to teaching that lack significant pedagogical training and student teaching result in teachers who only have generic teaching skills of limited range. Darling Hammond, however, cautions university programs against complacency, especially in critical aspects of preparation such as developing deep content and pedagogical knowledge as well as closely tying university and school based preparation together. Many programs have extended preparation time, and a growing number of university based teacher preparation programs have expended the time and resources to develop school based partnerships where prospective teachers gain richer opportunities to practice what they are learning in environments that encourage them to learn from those experiences. It is worth noting that when done well, such partnerships go far beyond developing teachers who can consistently check off the right ticky boxes on the Danielson framework. Darling Hammond notes that the most promising teacher preparation practices “envision the professional teacher as one who learns from teaching rather than one who has finished learning how to teach…” We are, in fact, talking about a stance towards professionalism as beginning with strong skills and continuously learning and developing rather than simply achieving specific point ranges on a rubric. Sharon Feiman-Nemser characterized the central tasks of teacher preparation as “analyzing beliefs and forming new visions, developing subject matter knowledge for teaching, developing understanding of learners and learning, developing a beginning repertoire, and developing the tools to study teaching.” To accomplish such tasks, teacher preparation programs need “conceptual coherence” meaning programs need to be organized around central principles that inform the structure, content, and assessment of courses and experiences and sequences them so that prospective teachers have the best possible chances to develop their abilities. Articulating a conceptual vision is not simply slapping a “mission statement” on a website, then; rather, it is a core set of beliefs guiding decision making and how evidence is used for program development. Undergraduate programs further need to pay “attention to teachers as learners.” Programs have to prompt their students to challenge and extend their existing assumptions about teaching and learning, and they have to actively help them challenge those assumptions “in response to students’ changing knowledge, skills, and beliefs.” As Feiman-Nemser points out, this is not merely a disposition to be fostered in prospective teachers, but also it is one that should be modeled by program faculty who engage in teaching methods they expect of their students. Such preparation to teach and to learn from teaching serves the interests of program graduates’ future students, and it gives the graduates skills they will need to make best use of their need to learn and develop when they enter the profession full time. It should be noted that elements such as these in teacher preparation require more than program faculty who are conscious of these elements and conscientious about the need to make certain all teacher candidates enjoy preparation guided by these principles. Elements of this work are entirely within the control of teacher education programs, and, notably, state level policies on the qualifications of teacher candidates have very little impact upon them except to narrow the pipeline of potential future teachers. However, other elements depend heavily upon state and local policies, and they can be negatively impacted by them. Zeichner notes that the kind of clinical work that is necessary for teacher education to be effective is still rarely valued at research universities, and that faculty who take the time and effort to foster genuine two-way ties with practicing teachers suffer detrimental consequences to their careers. Further, in a time of continued cuts to state support for higher education, it is exceptionally hard for university programs to build and scale the kinds of meaningful partnerships in local schools needed to prepare prospective teachers. If we expect teacher education to provide excellent preparation, policy makers need to facilitate the necessary elements of that preparation. Also, we need policy makers to consider the environment that they are pushing into our public schools. Teaching is a time consuming and demanding profession even under ideal circumstances; increased demands upon teachers with no changes in their other work requirements serves as a disincentive to accept novices in their classrooms. The impacts of state policies on teachers is no small matter. In New Jersey, all teachers have to submit Student Growth Objectives as part of their annual evaluation, and while the early explanation of SGOs suggested a potentially valuable process of self examination with the support of administrators, the reality is a time consuming mess for which teachers have received little training and even less time. Page 16 of the state distributed SGO Guidebook is a textbook case of instructing people to create meaningless tables that resemble statistical analysis but bear absolutely no resemblance to statistics done with any integrity. Teachers in subjects that are tested in the PARCC consortium exams are also evaluated using Student Growth Percentiles (SGPs) which have some advantage over value added models by being relatively stable but which are also statistically correlated with the percentage of children in poverty. Bruce Baker of Rutgers sarcastically and correctly questions the validity of SGPs since they only seem to work if we assume that, somehow, the only truly effective teachers in the state of New Jersey ended up in wealthy school districts. Given the demands to produce laborious yet meaningless statistical analyses of themselves and given the use of questionable measures of their teaching effectiveness via student test scores, it is perhaps miraculous that any teachers at all agree to work with inexperienced undergraduates in field placements and in student teaching. However, we might all legitimately ask policy makers what conditions they envision enabling truly deep and risky work with novices in public schools? Are teachers enabled with the time and support to mentor? Are principals and other administrators given the chance to be instructional leaders who foster collaboration and professional growth? Are there incentives and funding necessary to develop actual two-way collaboration between universities and schools? The early career phase and its steep learning curve seems more and more like an abandoned concept in today’s policy environment, yet it remains critically important. A simple reality is that regardless of the quality of teacher preparation, there is only just so much that can be done prior to actually teaching. It is not that high quality programs do not prepare teachers more able to take on their full time responsibilities; it is that the mediated and supported environment of teacher education and mentored field experiences cannot fully replicate the reality of full time classroom teaching with the full range of both instructional responsibilities and demands to acculturate to a new school and community. Teachers have been, traditionally, placed into their first classroom on the exact same footing as their experienced peers and expected to perform with only those supports either in place or absent from the schools in which they work. This is no small matter because, far from the “crisis” of tenured teachers resting on their laurels as portrayed by anti-union activists like Campbell Brown, our schools face a far more serious problem with excessive turn over and the early exit of young teachers from the profession. Richard Ingersoll demonstrates that teacher turnover is a significant phenomenon and a substantial factor in the need for new teachers each year. Additional research by Dr. Ingersoll for the Alliance for Excellent Education calculates that the movement of teachers from one school to another and the replacement of teachers who leave the profession entirely costs upwards of $2.2 billion each year. Dr. Helen Ladd of Duke University reports that in 2008, more than a quarter of our nation’s teachers had five years of experience or less, and that concentrations of teachers with limited experience are found in schools serving underprivileged children. This is especially problematic given that teachers gain in effectiveness very rapidly in the early career with a general leveling off after 15 years of experience; Dr. Ladd’s research found that teachers with that level of experience are generally twice as effective as teachers with only two years in the classroom. Experienced teachers provide schools and students with other advantages as well, but the general point should be clear: we can increase requirements on teacher preparation and upon graduates of teacher preparation all we want, but if the systemic ignoring of the early teaching career continues, those changes will yield nothing. Researchers from Harvard’s Project on the Next Generation of Teachers have found that working conditions are the strongest predictor of why teachers leave a given school or the profession. Among the school climate elements that impact teacher turnover are the level of trust and support apparent in administration, higher levels of order denoted by matters like student absenteeism and respect, and collegiality in the form of strong support and rapport among teachers. Further, the researchers note that while policy makers can try to impact these aspects of the school environment, they are unlikely to succeed without careful attention to capacity building in the schools and in the district and state offices that seek positive change. For example, expanded and positive collegial interaction requires serious consideration of teaching schedules and administrative duties, so that they can focus upon planning and collaboration with colleagues and curriculum experts, practices that are implemented in higher performing countries. This is not work that can be accomplished on the cheap by rewriting regulations; it needs funding and direct support. While such initiatives would benefit teachers across the experience levels, special attention should be paid to teachers in the early stage of their career. Before test based accountability dominated the school landscape, we had good evidence that school culture and climate mattered significantly for the success and retention of new teachers. According to Susan M. Kardos and associates, schools that were characterized as having “integrated” professional cultures had a blend of experience levels among teachers and new teachers found high levels of support and sustain collaboration across experience levels that was supported by administrators. In such schools, new teachers were not expected to be polished veterans and found serious efforts taken to provide them with appropriate mentors and to regard them as learning and developing colleagues. Making such environments work requires shared norms that are supported by administrators who work to provide the time and space necessary for productive collaboration across different experience levels of teachers with an expressed goal of improving teaching and learning. While inspired leadership can build such environments, policy makers can assist by taking the induction period seriously and by seeing that mentoring of new teachers is not a haphazard add on to teachers’ existing work. Feiman-Nemser makes clear that induction of new teachers will happen whether or not it is designed by policy because regardless of the quality of their preparation, new teachers must undertake the following tasks in their early career: gaining local knowledge of students, curriculum, and school context, designing responsive curriculum and instruction, enacting a beginning repertoire in purposeful ways, creating a classroom learning community, developing a professional identity, and learning in and from practice. While quality teacher preparation can lay the groundwork for all of these tasks, they must be implemented within a specific school and community context for a new teacher to be successful, and that process can either be left to chance or policy can seek to increase the number of fruitful contexts for induction so novices are not left to rely upon luck for their specific needs to be recognized and addressed. Formalizing induction can take different approaches, and policy makers need to carefully consider how they wish to support the matter. Feiman-Nemser observes that promising induction policies seek mentors for new teachers who are appropriate given the context and people involved and allow reduced teaching loads so that novices and mentors can actually collaborate. Strong induction programs also allow for novice development over a period of time, so policy should not confine mentoring and support to just the first year of teaching. Mentors provide genuine and constructive feedback aimed at improving novice practice, and schools and districts provide regular development specific to the needs of novice teachers. Effective mentoring and induction also embraces the dual role of assistance and assessment of novices, so mentors cannot simply confine themselves to a cheer leading role; their practice has to come with tools and dispositions aimed at improving novice teaching. Just as we recognize that the very best students are not always destined to become the very best teachers, we recognize that the very best teachers are not always well-suited for mentoring. Novices need “caring and competent mentors” who are well prepared for their role and given training to understand how to teach teachers. Under ideal circumstances, the mentoring process is two way as mentor teachers, in the process of supporting and teaching novices, sharpen their abilities to observe, analyze, collaborate, assess, coach and other skills important to their improvement of teachers and schools. It must be noted again that such work and policy does not come without cost. Schools and districts coping with decreased state spending on education, are unlikely to afford resource and personnel intensive policies on their own. If districts can find additional funding, it seems likely they will use it to make up for cuts to programs previously supported by the state (In New Jersey, for example, over 11,000 vulnerable students lost access to after school programs between the hours of 3 and 6pm in the 2011 budget cuts). However, if policy makers are serious about the need for high quality teachers, and if they see the threats to teacher quality and student learning inherent in early career turnover, then they must consider legitimate efforts to create early career induction and mentoring within integrated professional cultures as the norm rather than as lucky exceptions. Policy makers have to consider the kinds of school environments their efforts have developed. Just as teacher stress and job dissatisfaction are serious impediments to recruiting prospective teachers to the field, and just as evaluation requirements that force teachers to create meaningless reports of their teaching and to increase the amount of time spent on test preparation stand in the way of experienced teachers opening their classrooms to novices, those same policies are inherent barriers to instituting deliberate policies of mentoring and induction. Test based accountability and evaluation tasks with little inherent legitimacy but high time commitments are distorting elements in today’s schools. They absorb time and priority from even the very best teachers in our schools, and they given nothing of value in return. Worse, they serve as a disincentive for teachers who would be genuinely accomplished mentors of preservice and early career teachers to even consider taking on the role. Policy needs a serious realignment to consider what practices can be instituted that would shift accountability from a test and punish focus and into a support and growth focus when it comes to teacher quality. Recruitment of students into teacher preparation can only happen in an environment when the actual rewards of teaching are evident. Most teachers would be unlikely to turn down an offer of better salaries across the board, but by overwhelming margins, teachers want to be able to work for the best of their students and they want more time and resources to do that well. Current policies in most jurisdictions simply pile more work on teachers with fewer resources and demand growth in test scores as the main indicator of success. Higher demands on teacher education are not made in a vacuum. It may be defensible to seek higher entrance requirements into teacher education and to call for more work in the field by teacher candidates, but the development of genuinely quality partnerships between schools and universities is resource and time intensive work that is difficult to accomplish simply by fiat from state capitols. Capacity must be built at all levels of the system, and resources in the form of money and development time have to be built into the changes for work to be genuinely meaningful. Further, experienced teachers, even those disposed to mentoring, cannot be fairly expected to participate in increased responsibilities for teacher education under current circumstances. In the era of test based accountability, little attention has been given to the needs of novice teachers during their induction period, and that has continued the long standing and increasingly unsustainable churn in early career teaching. Our schools lose both money and valuable experience as the unique needs in induction remain met only by haphazard circumstance rather than by a systemic focus on novices as learners, colleagues as mentors, and teachers as growing throughout their careers. While school climate cannot be commanded from afar, policy makers ignore the circumstances that they incentivize at the peril of both teachers and students. Induction of novice teachers will happen whether we attend to it or not, and failing to do so in any systemic way perpetuates the current “system” that has no focus or operating principles. Becoming a teacher is frequently a lengthy journey. Our future teachers are in our public schools right now forming their earliest, and sometimes most enduring, ideals about what purposes are served by public education and what the work of teaching and learning entails. This time period is absolutely essential to the formation of their sense of vocation and commitment to the best ideals of education. Entry into teacher preparation, in many senses, begins with the first desire to be like a child’s favorite teacher, but the path laid before that prospective teacher is one within the influence of policy. If we want that path to be both effective and purposeful, then we need to understand it and use policy to enable its best possibilities. Alliance for Excellent Education (2014). On the path to equity: Improving the effectiveness of beginning teachers. Washington, DC: Mariana Haynes. Berliner, D. (2000). A Personal Response to Those Who Bash Teacher Education. Journal of Teacher Education, 51(5), 358-371. Cawelti, G. (2006). The Side Effects of NCLB. Educational Leadership, 64(3), 64-68. Darling-Hammond, L. (2000). How Teacher Education Matters. Journal of Teacher Education, 51(3), 166-173. Day, T. (2005). Teachers’ Craft Knowledge: A Constant in Times of Change? Irish Educational Studies, 24(1), 21-30. Fenstermacher, G.D. (1999). Teaching on both sides of the classroom door. In K.A. Sirotnik & R. Soder (Eds. ), The beat of a different drummer: Essays on educational renewal in honor of John Goodlad (pp. 186-196). New York: Peter Lang Publishing, Inc.
Hansen, D. (1994). Teaching and the Sense of Vocation. Educational Theory, 44(3), 259-275. Hargreaves, A. (2009). Presentism, Conservatism, and Individualism: The Legacy of Dan Lortie’s “Schoolteacher: A Sociological Study” Curriculum Inquiry, 40(1), 143-155. Ingersoll, R. (2001). Teacher Turnover and Teacher Shortages: An Organizational Analysis. American Educational Research Journal, 38(3), 499-534. Kardos, S., Moore Johnson, S., Peske, H., Kauffman, D., & Liu, E. (2001). Counting of Colleagues: New Teachers Encounter the Professional Cultures of Their Schools. Educational Administration Quarterly, 37(2), 250-290. Katz, D. (2015, March 27). Does Anyone in Education Reform Care If Teaching is a Profession? Retrieved April 19, 2015, from https://danielskatz.net/2015/03/27/does-anyone-in-education-reform-care-if-teaching-is-a-profession/. Lortie, D. (2002). Schoolteacher: A sociological study. Chicago: University of Chicago Press. MetLife, Inc. (2013). The Metlife Survey of the American Teacher: Challenges for School Leadership. New York, NY: Harris Interaction. Retrieved April 19, 2015, from https://www.metlife.com/assets/cao/foundation/MetLife-Teacher-Survey-2012.pdf. Moore Johnson, S., Kraft, M., & Papay, J. (2012). How Context Matters in High Needs Schools: The Effects of Teachers’ Working Conditions on Their Professional Satisfaction and Their Students’ Achievement. Teachers College Record, 114(10), 1-39. Retrieved April 19, 2015, from http://www.tcrecord.org/content.asp?contentid=16685. Sawchuck, S. (2014, October 21). Steep Drops Seen in Teacher-Prep Enrollment Numbers. Edweek. Retrieved April 19, 2015 from http://www.edweek.org/ew/articles/2014/10/22/09enroll.h34.html. Simon, N., Moore Johnson, S. (2013). Teacher Turnover in High Poverty Schools: What We Know and Can Do. (Working Paper: Project on the Next Generation of Teachers). 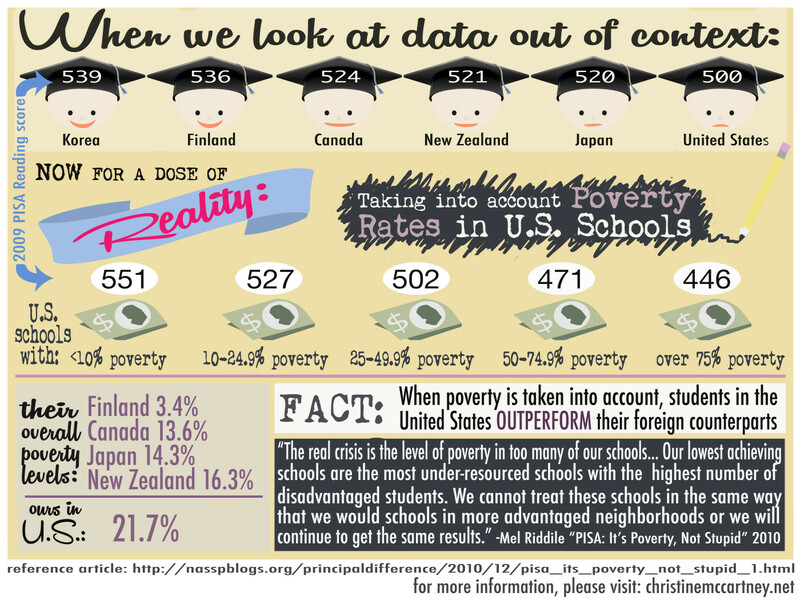 Retrieved April 19, 2015, from http://isites.harvard.edu/fs/docs/icb.topic1231814.files//Teacher%20Turnover%20in%20High-Poverty%20Schools.pdf. Zeichner, K. (2010). Rethinking the Connections Between Campus Courses and Field Experiences in College- And University-Based Teacher Education. Journal of Teacher Education, 61(1-2), 89-99. You failed me yesterday. You failed my children. You failed my children’s schools and their teachers. In the New York Assembly, member after member, declared some form of regret or misgiving or “heavy heart” regarding the poisonous education provisions that were woven into the budget bills before them. They acknowledged that although Governor Cuomo’s back door voucher plan and charter school increases had been purged from the budget, his teacher evaluation plans were based upon the wrong priorities and likely to harm education in the state. Legislators alternately called the bill “terrible” and declared their belief that teachers cannot be “blamed” for problems that exist well outside their classrooms. They gnashed their teeth and beat their chests. And then they voted for the budget anyway. This, in the world of politics, is the much beloved “compromise” whereby supposedly “responsible” politicians and appointees look at their differences and craft some sort of middle ground. The middle ground is necessary because each side is supposed to give up priorities that matter to them and allow the other to have some say in what is finally crafted for the public good. Voltaire is credited with coining the aphorism that the “perfect is the enemy of the good,” meaning that those who hold out for results that perfectly align with their priorities fail to let good compromises come to fruition. In the world of politics, it is an affirmation of process that accomplishes something. In the world of policy analysis it is why we cannot have nice things. NYSED will have to determine how the outside evaluators and school administrator portions balance, but the test score component is effectively 50% of the evaluation as it occupies the y-axis by itself. No teacher found “ineffective” by the test score component can be found higher than “developing” overall, and an “ineffective” test score component will override an observation based rating of “developing” in favor of finding a teacher “ineffective” overall. Teachers cannot be evaluated based upon actual artifacts of teaching and student learning unless they are assessed by a state approved system. If someone gives you the option of being stabbed repeatedly with a rusty knife or of eating a poop sandwich, I do not think it is reasonable to congratulate yourself for merely eating the sandwich. So my question for representatives in Albany, especially those who voted “yes” with a “heavy heart”: What next? What will you do now to protect and nourish public education after agreeing to such an egregious set of policy incentives? This is no idle question. The governor’s education agenda only enjoys a 28% approval rating. 65% do not want tenure tied to test scores. Yet, despite overwhelming disapproval, the Assembly was unable to hold fast with the voting public and stare down the governor. Mark Naison of Fordham University poignantly noted that the vote represents a complete failure of democracy as the will of the people could not win the day over the will of interests who are only interested in unleashing disruption upon our schools. If the Assembly collectively believes that, backed by the clear will of the people, they cannot take an unwavering stand against blatantly harmful education policy, then what do they intend to do now that the budget is passed? What will they do to ensure that local input on teacher quality is respected and not shunted aside by the yet to be named “outside evaluators”? What will they do to ensure that districts do not have to reach into their own personnel budget to pay for outside evaluators who will be hired to replicate work done by 4500 principals across the state? What will they do to facilitate teachers who challenge their standardized test based evaluation components given the enormous standard errors involved in evaluating teachers based on a single year of test data? What will they do to allow those challenges to help young teachers gain sufficient effective ratings to reach tenure? What will they do ensure the greatly expedited removal provisions for tenured teachers do not rely upon the statistically invalid standardized test portion of teacher evaluations? How will they guarantee that the 90 day process requires the districts and the state to present a VALID case for dismissal and allows for a teacher response? And, most importantly, how will they help principals, teachers, and parents to maintain real quality teaching in the face of these distorting incentives that will influence teachers to mimic the practices of schools that are actually proud of how they turn their students into “little test-taking machines“? These questions demand serious responses given the failure to take a stand last night. They cannot be answered by passing legislation limiting the number of hours spent on test preparation and calling it a win for students. Our children’s teachers have been put on notice that the standardized test is valued above all else, and we deserve meaningful answers.